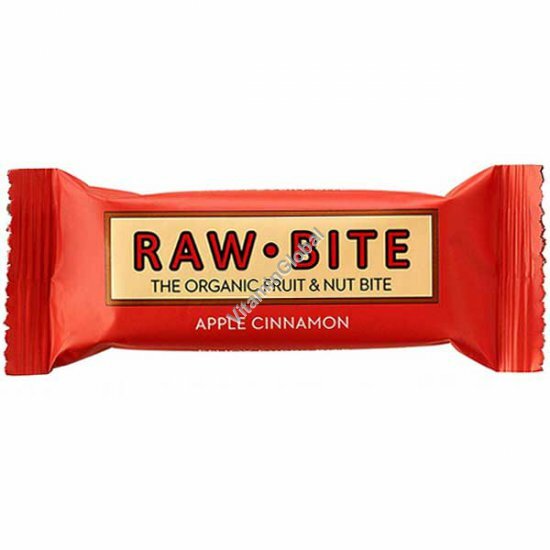 The RAWBITE Apple Cinnamon bar. The sweet taste of apples and the pieces of almonds in combination with a well recognizable taste of cinnamon is pure comfort food for the cozy afternoons and the colder days. In addition, it provides constant energy with a delicious taste. Ingredients: Organic Fruit 67% (dates, apples 20%, raisins), Organic Nuts 32% (almonds, cashews), Organic Cinnamon 1%, Organic Vanilla.